Arizona, just like many other states requires a WDIIR – Wood Destroying Insect Inspection Report (or termite inspection) when someone is buying or selling a home. 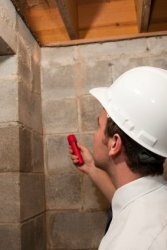 A certified inspector who is trained to spot the signs of a termite infestation, visually inspects the interior and exterior of a property including such areas as basements, crawlspaces and sometimes attics. This inspection usually takes between thirty and forty-five minutes, depending on the size and condition of the property. The subtle signs of termite infestation are not easily spotted by the untrained eye which is why a professional termite inspector from a well known and respected pest control company like ScorpionTech™ is required. Our trained experts know the tell-tale signs to look for and can spot even the most subtle indicators of wood destroying insects, as well as provide options to treat the problem. Contact us today at 480-800-3777 to schedule an inspection.